There are Druids that practice Buddhism as their religion, use traditional meditation techniques, or integrate some of the core Buddhist teachings such as on compassion. A strong reverence for nature is common to Buddhism and Druidry, and allows many to integrate both traditions. 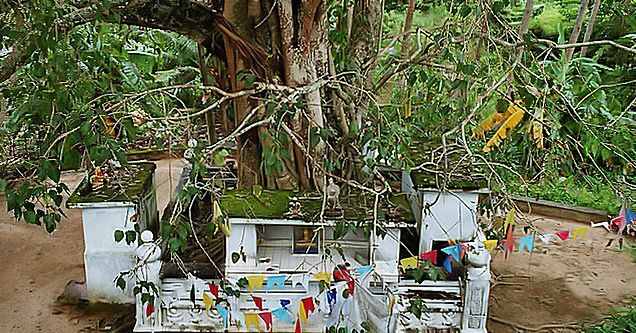 Three important times in the life of Siddharta Gautama (or Gautama Buddha) took place under trees. 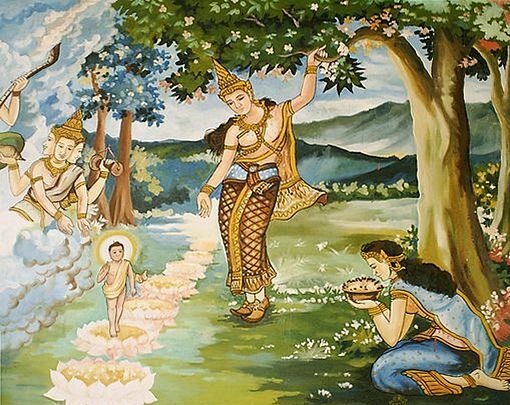 When Gautama’s mother Queen Maya became pregnant, she left for her father’s kingdom to give birth. However, it is told that her son was born on the way, beneath a sala (or asoka) tree in Nepal. Legends say the baby began to walk seven steps forward and at each step a lotus flower appeared on the ground. Then, at the seventh step, he stopped and proclaimed himself. Buddha enlightened under a tree. At the age of 35, and after becoming starved and weakened following a regimen of extreme asceticism, Gautama seated himself under a pipal tree (Bodhi tree) in Bodh Gaya, India, where he vowed to sit until he had found the truth. After 49 days of meditation he is said to have attained Enlightenment, by realizing the cause of suffering and the steps necessary to eliminate it (the “Four Noble Truths”). Through mastery of these truths, a state of supreme liberation, or Nirvana, is believed to be possible for any being. He did this in a grove of trees in Kuśināra (present-day Kushinagar, India), lying on a couch made up between 2 sala trees. It is said these trees were in bloom though it was not the flowering season, and they shed their blossoms on him as he obtained nirvana. Zen and the Awen (1-9-2014), and Peace in Druidry (3-19-2015) by Joanna van der Hoeven. Buddha in the Land of the Pagans. Daniel Scharpenburg, Jun 6, 2014. Daniel’s experience at the Heartland Pagan Festival in Kansas, including synopses of his meditation workshops there. Basic Meditation Instructions from the Secular Buddhist Association. Interval Timer Tibetan Bowl App Android application. A Brahman saw the Buddha resting under a tree in meditation. The Brahman was impressed with the Buddha’s disposition and demeanor. 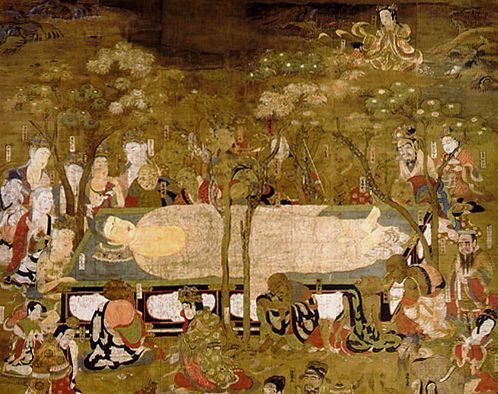 “No, I’m not a spirit,” said the Buddha. 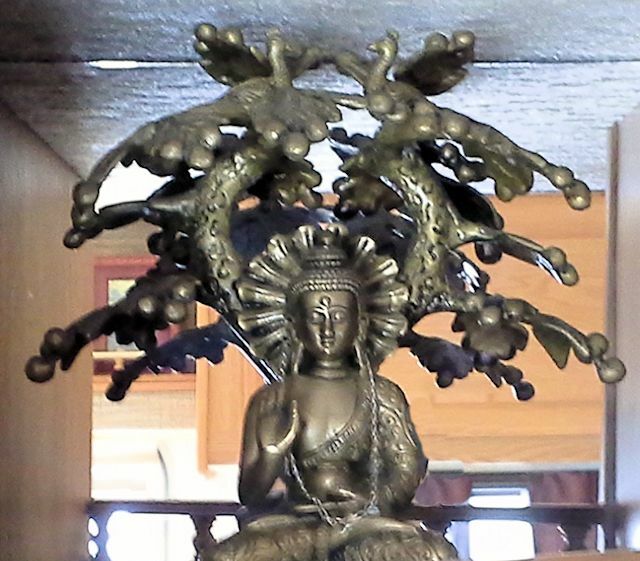 This Buddhism page was originally published on April 14, 2015.